AcuTread® tires are cured in a segmented mold which produces a fixed diameter every time – just like new tires. 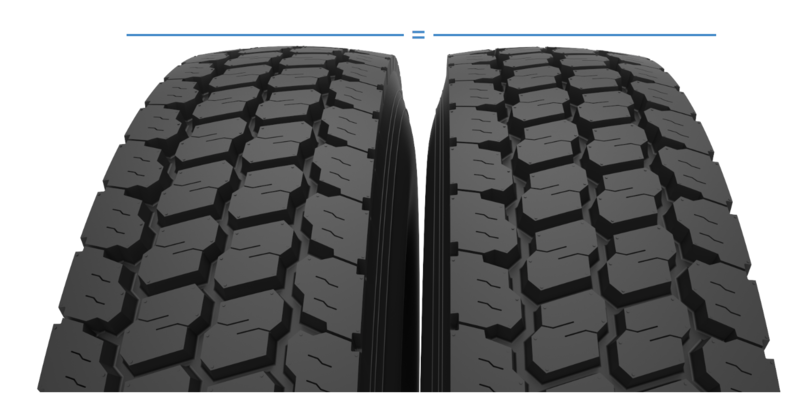 Each tire— regardless of brand—is within 1/32” in diameter. This important feature allows even distribution of load extending mileage and reducing heat build-up. A simple tread depth measurement is all that is required to match AcuTread® retreading tires in dual wheel positions. 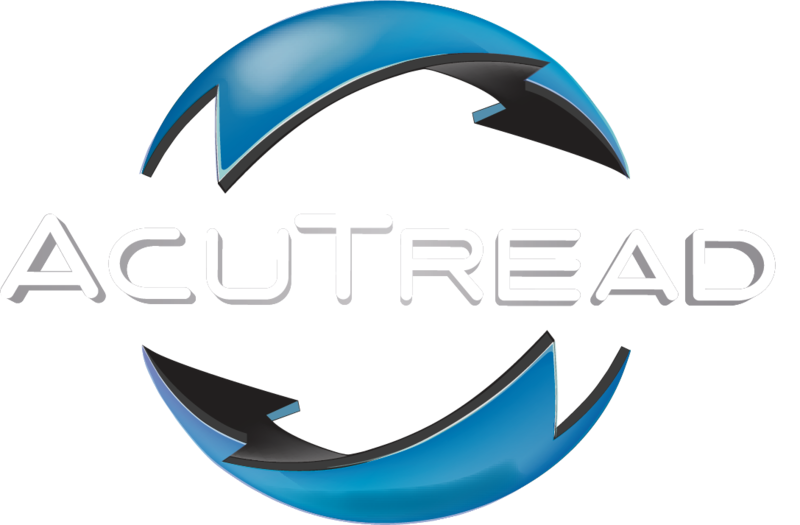 The advantage of the AcuTread® process over precure retreading is that each tire is cured with direct physical pressure resulting in very high adhesion values. AcuTread® products can withstand severe twisting and turning and higher running temperatures – just like new tires. 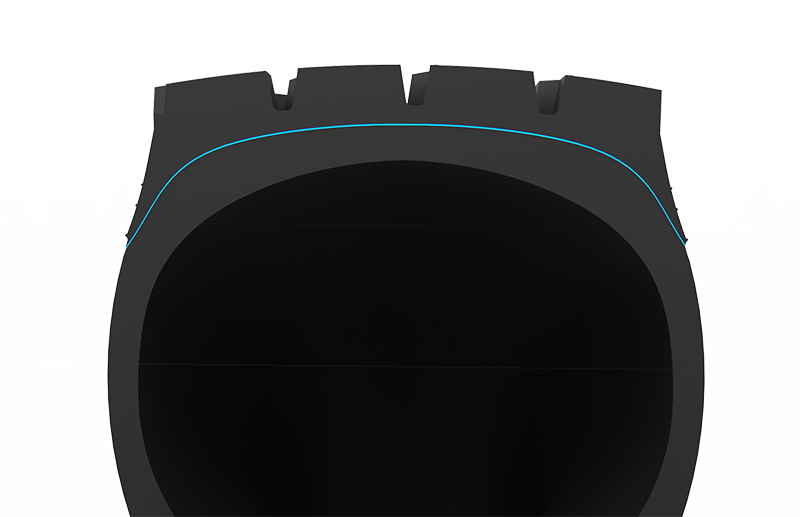 The technology of the AcuTread® process insures that every casing is prepared to an exact width and contour each time. Proper buffed casing dimensions reduce casing fatigue, shoulder separations and tread edge lifts while also promoting even wear for extended mileage. 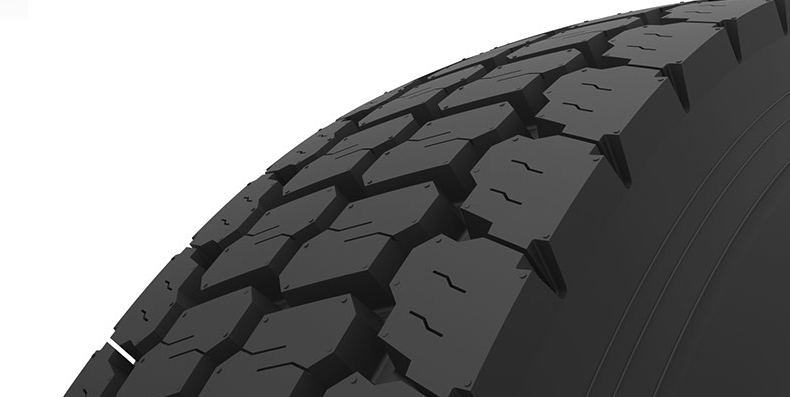 AcuTread® tires are splice free. Using a computerized rubber extruder, specialized rubber compounds are applied to the casing in one continuous strip, eliminating the need for a splice. Alternative precure retreading processes apply fully cured tread to casings and splice it together where the ends meet. The splice can cause a weak point and ride disturbance from an out-of-balance condition. AcuTread® tires are produced with full depth siping. Siping aids in traction and assists in dispersing heat from the tread. 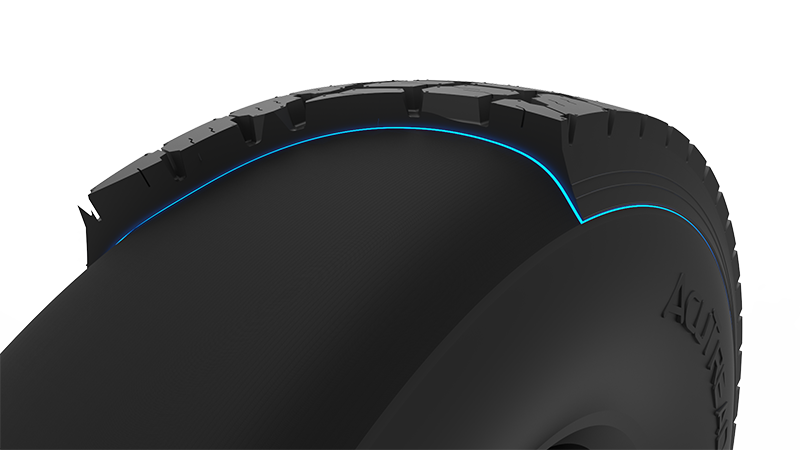 This “new tire” feature reduces casing fatigue and stress due to excessive heat build-up in the tread. Lower tread temperature is a key factor in extended wear and fuel economy. 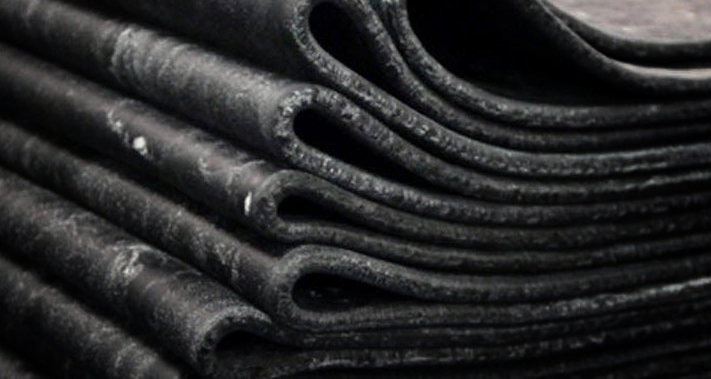 The rubber compounds used to produce AcuTread® tires are specially formulated for superior adhesion, long wear, fuel efficiency, and cut resistance. 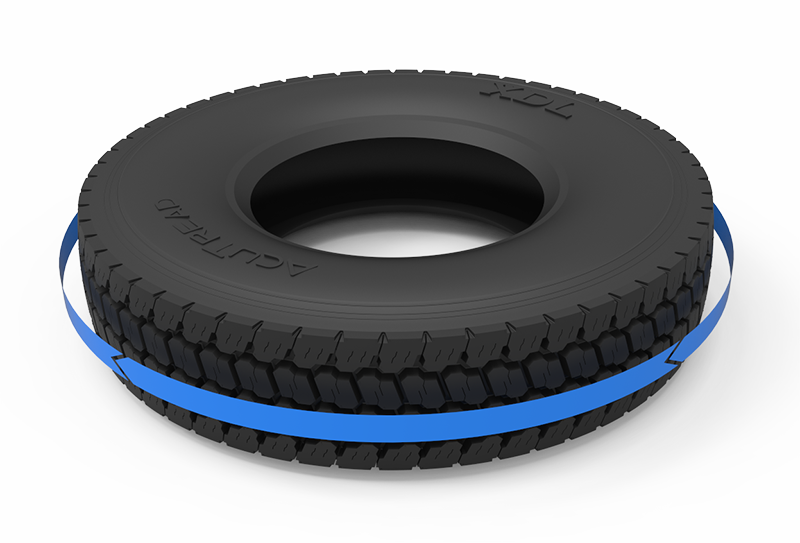 Computerized extruders allow AcuTread® tires to be produced with custom rubber compounds that fit the requirements for each of our individual customers.